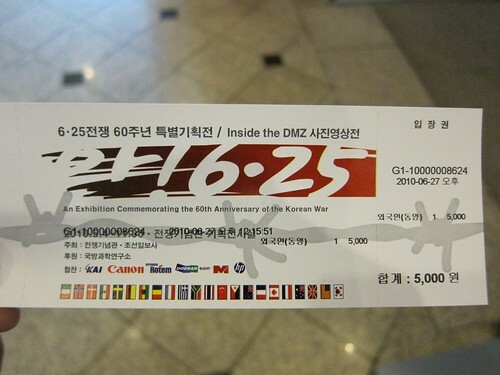 Because of 60th anniversary of Korean War, there is a special exhibition "Inside the DMZ" at War Memorial of Korean. This exhibition tells stories about Korea from Korean War to Today's Korea. Because 99% of the instruction of this exhibition are in Korean, so I could not fully understand all the displays. 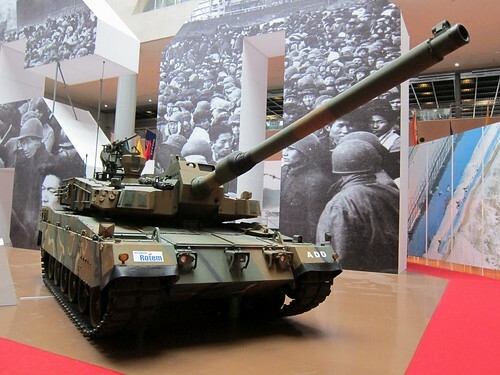 But there are 2 items definitely getting everyone's attention, the K2 Black Panther Tank and K21 Infantry fighting vehicle. These 2 advanced armoured vehicles are the pair of steel fists of modern South Korean Army to against the invasion from the north. 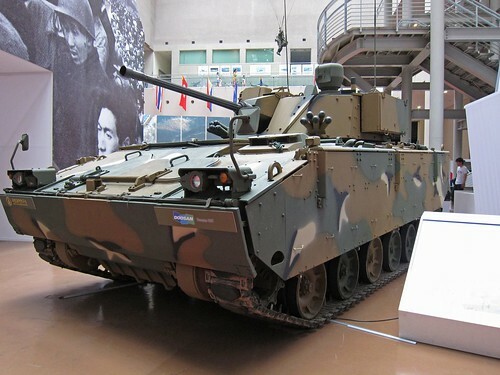 From my personal point of view, I think K2 and K21 may be the best fighting vehicles among all Asian countries, also are capable to compete with some cutting edge tanks of western countries.